This past weekend, I completed my Volunteer Engagement Project – I planned and executed a City-wide compost giveaway. For the past several years, City staff have facilitated a compost giveaway at Albany’s annual Arts & Green Festival. Unfortunately, City staff did not have the capacity to hold the festival this year, and a compost giveaway had not been planned. The Community Development Department expressed interest in holding a compost event this year, so I decided to take charge. I implemented my Volunteer Engagement Project in three phases: volunteer recruitment, event outreach, and event implementation. 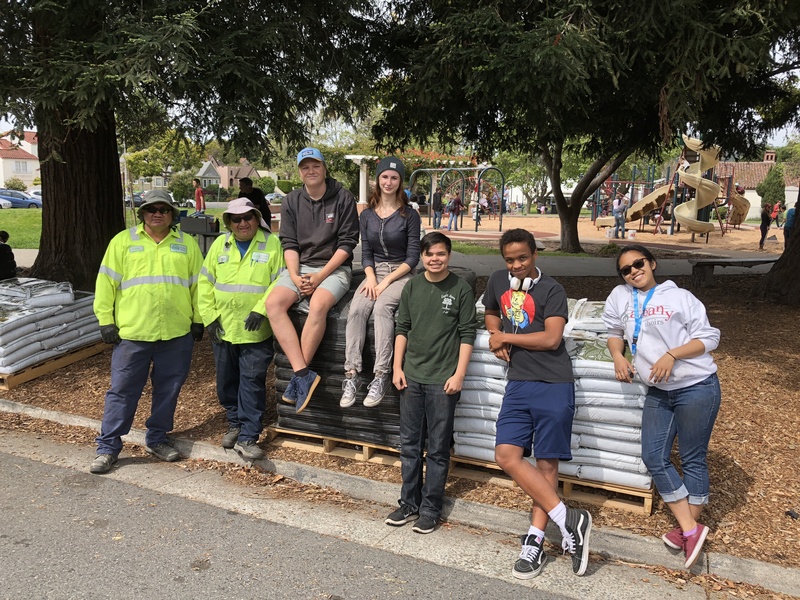 First, I contacted the local high school to find a group of able-bodied students to help spread the word about the event and distribute compost on the day of the event. I found the “Earth Team,” a group of hardworking students dedicated to promoting environmental stewardship. Event outreach included working with the students to prepare outreach materials (posters and online event announcements) and distribute them throughout the City. Posters were placed on BigBelly trash cans and a banner was hung at the City’s Community Center. Finally, event implementation included directing traffic in the area, checking residents? IDs (compost is for Albany residents only), distributing the compost, and directing traffic out of the area. I was fairly stressed before the event – the compost was supposed to be delivered on Friday morning, but it didn’t arrive until early Saturday morning. I could hardly sleep the night before knowing the event was riding on the shoulders of the delivery man! Luckily, everything worked out and the event was a big success. All compost was distributed within three hours. My favorite part of the event was working with the high school students. While they were talking among themselves, I heard them say, “this is actually really fun!” It put a huge smile on my face.